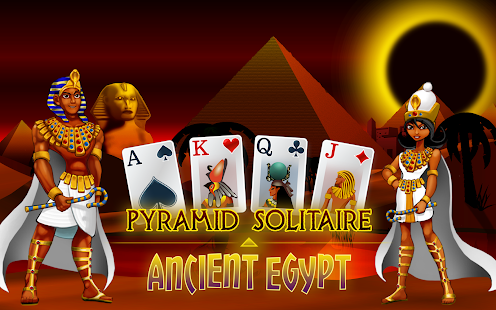 Join the people who have played Pyramid Solitaire - Ancient Egypt over 1 BILLION times! Build spectacular pyramids for the Pharaoh and his Queen with your card game skills. To play just clear the board by pairing cards from the deck to the value of 13. Kings are special, because they can be removed on their own. If you can't see a move, deal 3 more cards from the deck. Remove cards all the way up to the top of the pyramid. This matching gameplay is a wonderful way to wind down after a long day while keeping your mind in peak condition. With beautiful artwork, atmospheric sound effects, animations and intuitive controls you’ll see why this game is a family favorite! 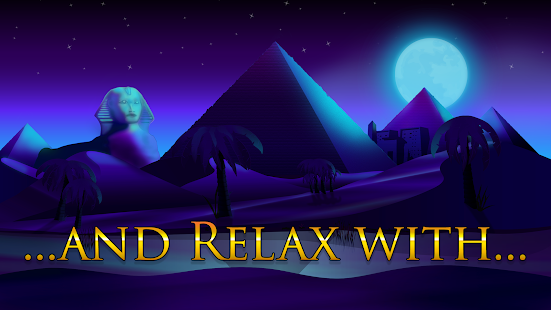 * Enchanting theme set in the glorious city of Giza in Ancient Egypt. * Rules so simple they are explained in less than a paragraph! * Simple touch controls and classic, smooth play. * Local and global leader boards so you can compare scores with friends and family. * Interruption friendly with auto-save and resume. 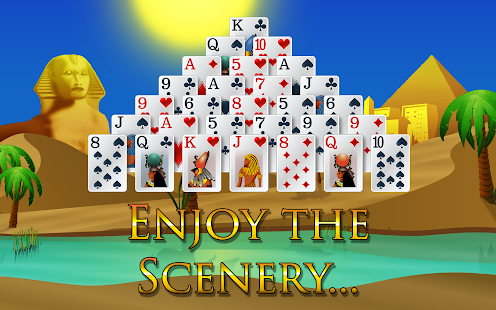 * A relaxing and interesting game for you that takes the best of solitaire games including Spider, Klondike and Tri-Peaks Solitaire. Join millions players who have described our game as “a test of mental agility”, “very enjoyable and relaxing”, and even as their “favorite game”. You might have played solitaire, but Pyramid Solitaire – Ancient Egypt is a saga not to be missed.